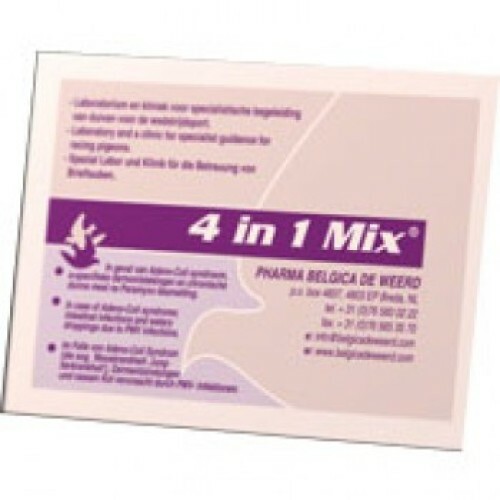 4 in 1 Mix - PMV-infections - by Belgica de Weerd is super combination remedy with spectacular results in case of Adenocoli-syndrome, Intestinal Infections and watery droppings due to former PMV-infections in Racing Pigeons. 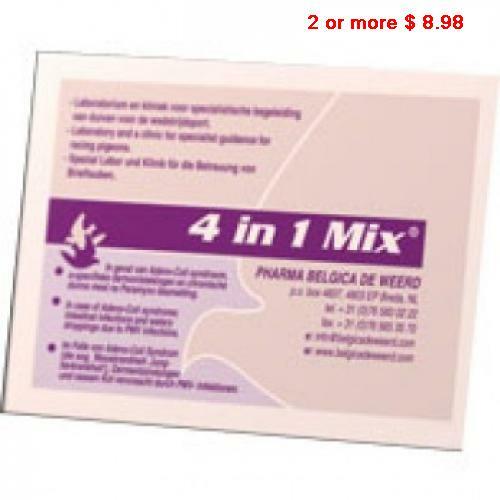 - 1 sachet per 2 liters of water or 1 kg of grains, 6 - 10 consecutive days. Can also be used in combination with Belgasol: Add 2 tablespoons Belgasol per 2 litres of water for faster results.